My trip to Lisbon earlier in December was a second visit to the Portuguese capital though, as with other cities across the continent, I’d only previously visited for football reasons and therefore seen only briefly. When travelling at this time of year, it’s normal for Christmas markets to be out in force, and it’s not uncommon for people to travel across the continent to enjoy the festive attractions of towns and cities. 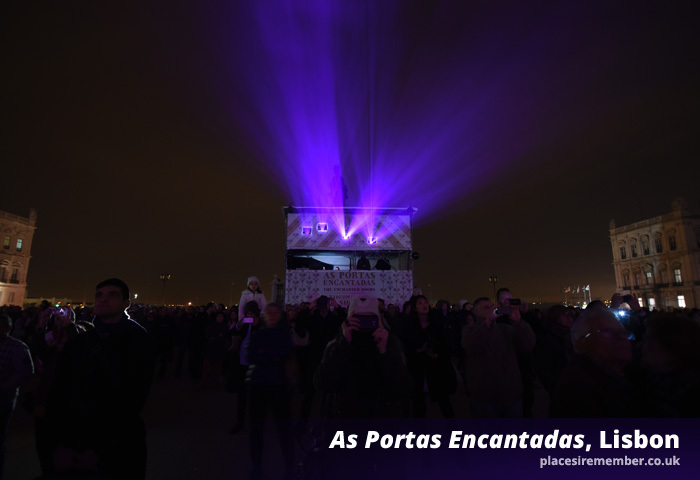 But soon after booking the trip, I learnt that Lisbon doesn’t really do Christmas in the same way as the famous offerings of countries such as Belgium or Germany, whose towns and cities often have large Christmas markets filling public squares. It didn’t take long after arriving however, to realise that, in its own way, Lisbon does Christmas quite beautifully. 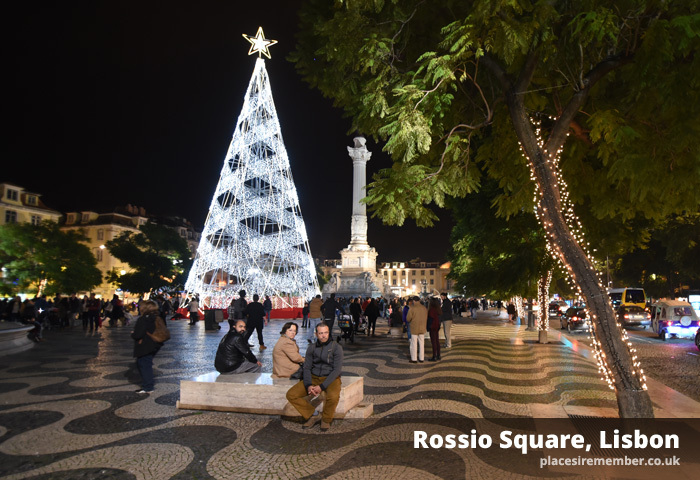 The streets across the city are lined with simple illuminations, and the trees in the main square at Rossio also lit up, with a large Christmas tree in the centre of the public space. 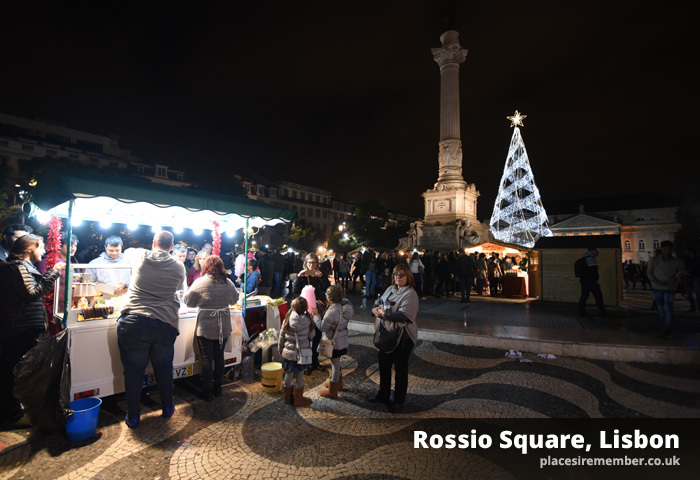 A handful of wooden huts are present, too, serving food and wine from Porto but only a handful – positioned in another part of Rossio square, and beside a real Christmas tree and Santa. Despite the modest Christmas-related offerings, there was a real sense of a festive atmosphere, with hordes of people out on the streets. 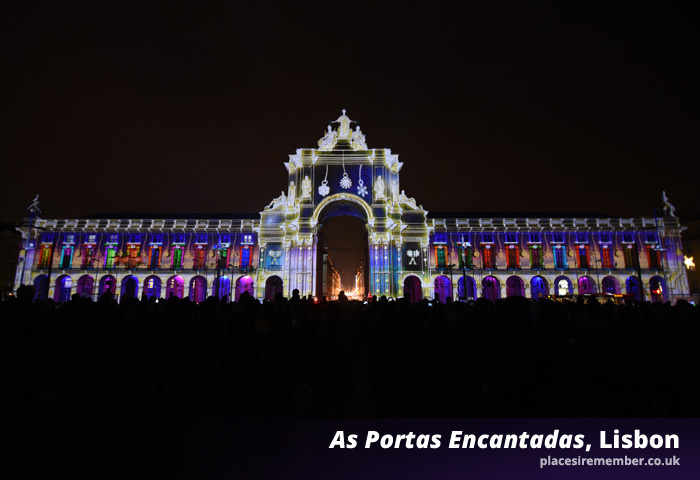 But the highlight was As Portas Encantadas, a video mapping light show projected onto the Ministerio Da Justiça buildings and Arch of Rua Augusta, in Commerce Square, near to the Tagus riverfront. Catching the debut showing of a production being shown three times a night over twelve nights leading up to Christmas was a stroke of good fortune, and made for an enjoyable half hour. The one strange aspect that was completely contradictory to a typical Christmas build-up was the weather. The required clothing for a European trip in December would ordinarily include a warm coat and, in the evenings at least, a hat and scarf. But with daytime temperatures approaching 20°C, there was no need to dress for any extreme weather. 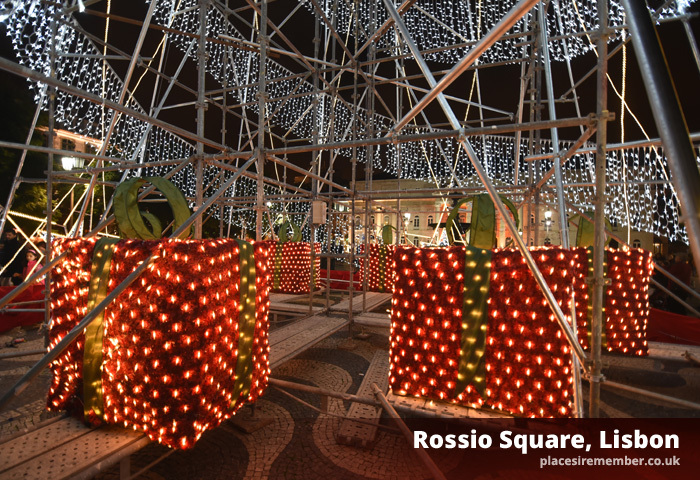 Perhaps that makes Lisbon the perfect destination for a pre-Christmas city break!